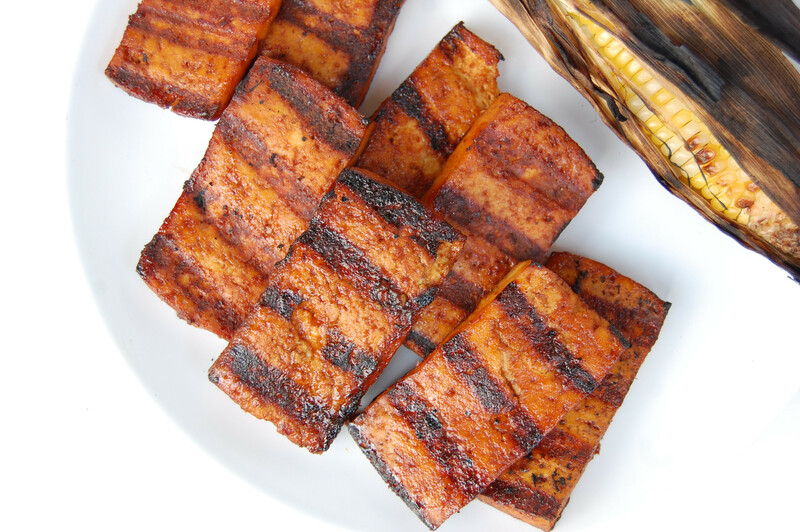 BBQ Beer Grilled Tofu - Are You Kitchen Me?! “The pumpkins are coming! The pumpkins are coming!” Like, woah. Are you kitchen me?! It’s barely September! Can we all just pump the brakes on the fall talk for a hot second?! I still have 3 official days of summer left and I’m celebrating them with this BBQ Beer Grilled Tofu. Even though it signifies the technical end of summer [gag. 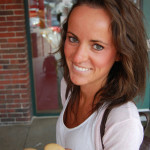 ], I do love Labor Day! Maybe it’s the tradition. Maybe it’s the smell of the grill. Maybe it’s the beer. I mean…. Grilling out on Labor Day is just about as American as it gets. So why should a conscious little vegan such as myself have to miss out on all the fun?! Well, I don’t! John and I have been making this all summer but there’s no more perfect time than Labor Day to slather something new in barbeque sauce and beer and throw it on the grill. 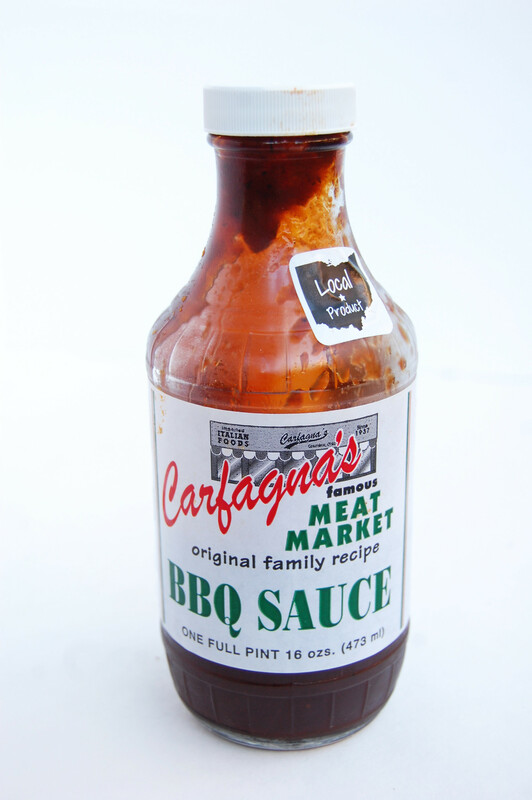 For this recipe, I use my favorite local BBQ sauce. To be honest, I haven’t even tried many barbeque sauces because it’s not usually my cup of tea. That said, I love supporting local business. Oh and this sauce is DELISH. It’s perfectly balanced with a kick of heat that I just love. And the ingredient list is short and pronounceable- win! If you’re looking for an even healthier option, you could try making your own, like this one from Ali. Personally, I’m not counting on this dish as a “health food” option so I don’t go overboard trying to be perfect. I mean, it has beer in it. It’s not perfectly healthy. But it’s better than a hunk of red meat and I can live with that. Moral of the story: don’t leave non-carnivores out this weekend! 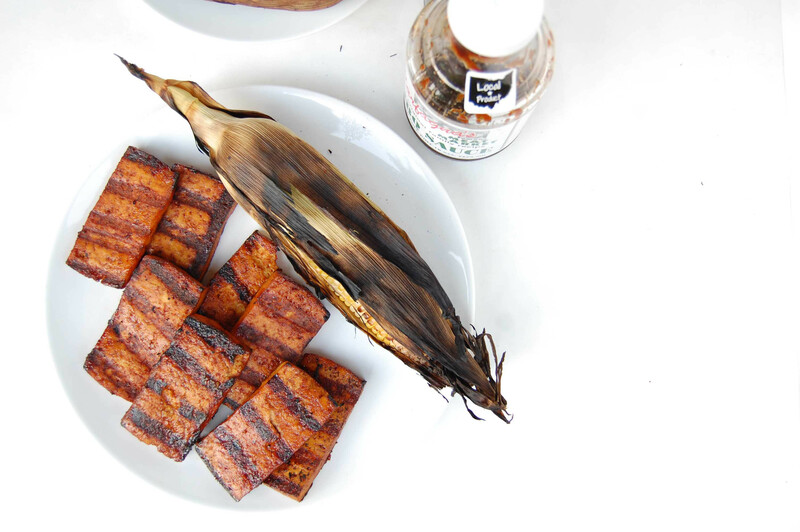 Make this BBQ Beer Grilled Tofu and watch everyone drool over it! Recipe inspired by Ashley at Edible Perspective. Herbivores and carnivores alike will be drawn to the classic summer scent of grilling, barbecue, and beer! Slice the tofu into 8 planks and press with a clean, dry towel. I usually set a cutting board and my coffee pot on top for about 15 minutes to really get the liquid out. Heat a grill to medium-high heat and brush lightly with oil if necessary. Place the tofu on the grill and DON’T TOUCH IT. Wait 6-8 minutes without peaking, then flip one plank. If it has nice grill marks, flip the rest and wait another 5-6 minutes. You may want to baste with your extra marinade for more flavor. Use whatever BBQ sauce or beer you like or fits best in your diet. However, be mindful that different ingredients will have a significant impact on the taste, so try to use ones you really enjoy!